William Pooley, the first Briton to contract Ebola who later fully recovered from the disease, has agreed to donate blood plasma to treat victims. On Monday, the World Health Organization reported that 2,811 people have so far died from this year’s outbreak of the deadly virus. Experts now hope that Pooley’s blood could play a vital part in fighting the deadly disease, the Telegraph reports. The blood of survivors contains natural antibodies that can protect against Ebola. When transferred to another patient, doctors say, the infected person seemingly benefits from the boost to their immune system. 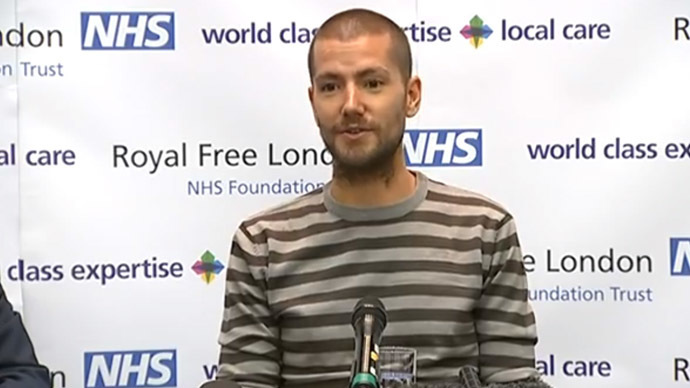 British nurse Pooley, 29, contracted Ebola while treating victims of the virus in Sierra Leone. He made a full recovery at a London hospital after been given the experimental drug ZMapp. Blood plasma contains antibodies that fight diseases and has been injected into Ebola victims before. Pooley's blood is said to now contain natural antibodies that could help protect against the virus. 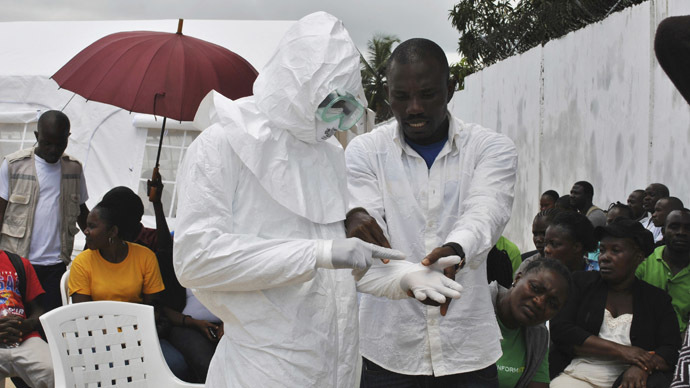 The US Centers for Disease Control and Prevention (CDC) is expected to release a report Tuesday predicting as many as 550,000 to 1.4 million cases of Ebola in Liberia and Sierra Leone alone by the end of January. Separately, earlier Tuesday WHO experts warned that the Ebola outbreak in West Africa could infect 20,000 people as soon as early November unless rigorous infection control measures are implemented. In a paper published in the New England Journal of Medicine, experts said: "Without drastic improvements in control measures, the numbers of cases of and deaths from Ebola virus disease are expected to continue increasing from hundreds to thousands per week in the coming months." Since the outbreak began six months ago, a total of 5,864 confirmedcases have been recorded. 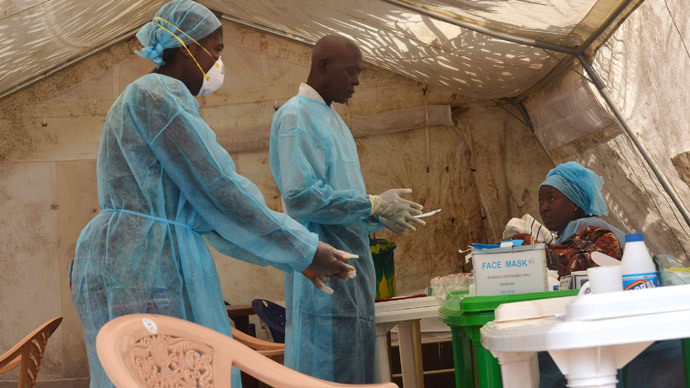 The WHO revised its estimated mortality rate from 50 percent to 70 percent in the other three countries touched by the infection: Liberia, Sierra Leone, and Guinea. 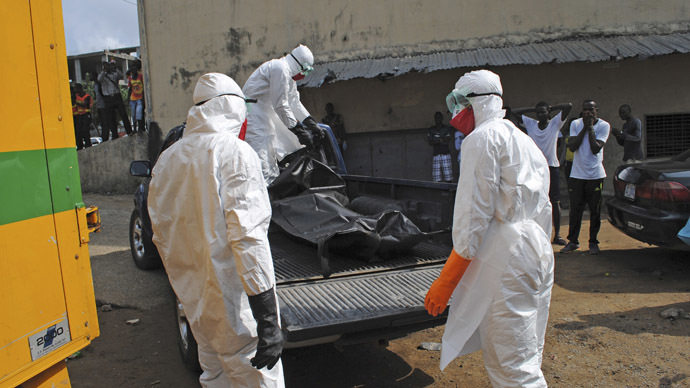 Liberia has reported the most Ebola cases, at just over 3,000. The WHO said Monday that the Ebola outbreak was "pretty much contained" in Nigeria and Senegal. "If control is completely successful in the way that we know it can be, then Ebola will disappear from the human population of West Africa and probably return to its animal reservoir," Dr. Christopher Dye, the WHO director of strategy and co-author of the article, said. But if control efforts are only partly successful, Ebola in the human population could become "a permanent feature of life in West Africa," Dye said. "Everyone is certainly working very hard to make sure this is a not the reality that we will be seeing," Dye said, adding: "I will be surprised if we hit 20,000 by then." Nearly 10,000 of those would be in Liberia, 5,000 in Sierra Leone and nearly 6,000 in Guinea, he said. But those numbers would only come about with no enhanced infection control. 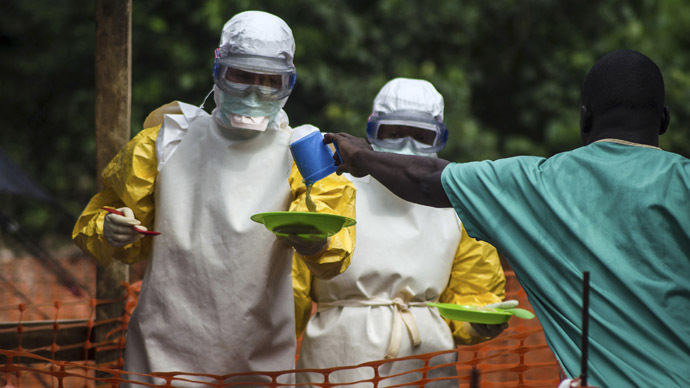 Experts have criticized the slow international response saying it was an “avoidable crisis,” and Medicines Sans Frontiers (Doctors Without Borders) repeatedly urged governments to step up their efforts to fight the deadly outbreak. The virus is transmitted through sweat, blood and saliva, and there is no proven cure. British scientists are now preparing to test potential drugs and vaccines in Africa by November with a £3.2m grant from the Wellcome Trust in collaboration with the WHO, Oxford University and others. The first few volunteers were injected with a vaccine in Oxford last week. Pharmaceutical companies are already scaling up production of the vaccines, anti-viral drugs and other treatments that will be tested so large numbers of doses are ready as soon as the first trial results are available. Last week, Pooley travelled to Atlanta, in the United States, in the hope of helping an Ebola victim. He reportedly offered to undergo a blood transfusion to help the American, who has not been identified.